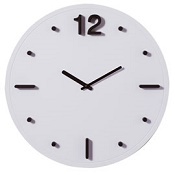 Extensive range of clocks to coordinate with the desk accessories and office or home office furniture. Including radio controlled clocks and silent clocks. Call us to talk about your project or order easily online. Contact us if you need help placing your order or you need any further information. If you do not see what you are looking for let us know and we may be able to source it from our reputable suppliers. We look forward to hearing from you.